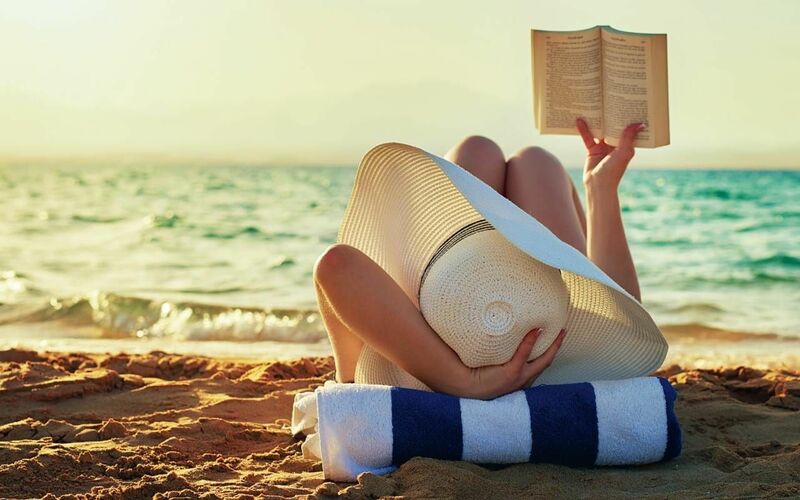 The umbrellas are up, the towels are down—the final ingredient for the perfect beach day is always a great book. Thankfully, we’ve got you covered. Check out the latest fiction titles we’ve rounded up to make sure your vacation is page-turner. Intrigue, murder, and femme fatales all abound in this Hitchcockian thriller, so fans of Gone Girl and Du Maurier’s Rebecca have a treat in store. The novel traces the lives of Alice Shipley and Lucy Mason, two former roomates who become locked in a psychological battle as Alice becomes increasingly convinced that her friend is trying to kill her, while her family remain oblivious to Alice’s pleas for help. The literary lovechild of Patricia Highsmith and Donna Tartt, this novel is sure to keep you out of the pool until the final chapter. The most anticipated sequel of the season is finally here! Picking up right after the final chapter of The Devil Wears Prada, the novel explores the life of terrifying fashion mogul Miranda Priestley’s other assistant: the gorgeous, sassy, and ever-so-slightly bitter Emily. With her usual deft hand for balancing comedy, drama, and charm, Weisberger proves that there’s much more to explore in the world of fictional fashion. If you knew when you were going to die, how would you live your life? This is the reality for the four Gold sisters, who seek out a fortune-teller in summer of 1969, claiming to know the date of their deaths. Over the coming decades, the sisters will each attempt to break away from the impending date, with devastating consequences. An instant New York Times Bestseller, the novel has become the literary breakaway hit of 2018. Shaker Heights, Ohio, appears to be the idyllic town for artist and mother Elena to bring up her eccentric family, but things quickly begin to unravel as lies, arson, and an illegal adoption threaten to rip the Richardson family apart. In turns funny, tragic, and a little bit magical, Little Fires Everywhere is blazing the trail for excellent fiction this summer. Set in the twilight years of World War II, the book follows siblings Nathaniel and Rachel as they attempt to unravel the secret behind their parents' mysterious disappearance to Singapore. Left in the hands of criminals and strangers, they begin to realise that no matter how hard they try to escape the past, the truth will always catch up. A seamless blend of espionage and intrigue, the book is a spiritual successor to the likes of John Le Carre and Graham Greene. Depressed, broke, and single, freelance journalist Kate Hope is struggling to keep herself afloat, but she finds an unusual source of inspiration when she meets 86-year-old widow, Rosemary, who is on a mission to stop the local pool from being shut down. As the unexpected dynamic duo team up to rally the town for support, the resulting novel becomes a genuinely heart-warming tale of friendship and hope found in unlikely places. Hailed as the "Joan Didion of California", New York Times bestselling author Lauren Groff is back with a stunning new collection of short stories, set in the dark heart of Florida state. Spanning multiple decades, the stories chronicle themes of love, depression and passion with startling accuracy and precision, and the resulting collection is a riveting exploration of what it means to be human. While being exiled to a Greek Island might sound like paradise to most, it is a horrifying concept for the defiant nymph, Circe. Banished by her father to the island of Aiaia, she reluctantly leaves the paradise of Mount Olympus to rebuild her life, until a fateful encounter with Odysseus threatens to ruin all she has built. In a sweeping feminist retelling of one of the world’s most beloved stories, Madeline Miller’s lyrical prose creates a new narrative that is sure to stand the test of time. While we recommend that you apply plenty of sunscreen over the summer, we do think you'll enjoy this particular kind of sunburn, as Lippman's new title presents nouveau-noir at its finest. Our protagonist, Polly—who calls herself Pauline for the time being—has many secrets to keep, but her devestatingly handsome pursuer, Adam, will stop at nothing until he has uncovered her dark past. The result is a fabulous novel that remains chilling, ambitious, and thrilling throughout. Set in Oakland, California, the novel follows the lives of 12 Native American men and women who meet for just one day at the Big Outland Powwow, a gathering that is set to irrevocably change their lives and the way they perceive each other. Set over just twenty-four hours, the book is a sweeping yet tender examination of sacrifice, heroism and loss, and is sure to stay with you long after you've turned the final page.